“General Hospital” spoilers for Wednesday, January 9, tease that Ned Quartermaine (Wally Kurth) will try to ease Olivia Quartermaine’s (Lisa LoCicero) mind. She’ll worry about the nail-biting results of the election, but Ned will insist that it’s out of his hands. Win or lose, he’s done his best. Ned will just have to accept whatever the people of Port Charles have decided. Of course, Olivia will also have some serial killer fears. She’ll worry that the murderer could come after Ned as a public figure, but he probably won’t want her to fret about that either. Ned will push for a calm night with his wife, so let’s hope Olivia can cool it! Meanwhile, Sonny Corinthos (Maurice Benard) will have a talk with Laura Collins (Genie Francis). She’ll mention that she has nothing to hide, so Laura may feel like her latest divorce drama isn’t going to be a big deal to the voters. Laura addressed it and moved on. She’s run an honest, transparent campaign and that’s all that matters. Other “General Hospital” spoilers say Jordan Ashford (Briana Nicole Henry) will give Margaux Dawson (Elizabeth Hendrickson) updates. She’ll tell her where they’re at on the murder investigation, so Margaux should get some interesting details. She’ll share some of the info she learns with Lulu Falconeri (Emme Rylan), but she’ll make it clear that this is strictly off the record. Jordan and Curtis Ashford (Donnell Turner) will chat with Mac Scorpio (John J. York) in Wednesday’s episode, too. Mac will comment on their copycat killer suspicions. He’ll feel like if somebody out there is indeed copying Ryan Chamberlain (Jon Lindstrom), Jordan’s job is going to be a tough one. Mac is certainly right about that! The cops will be busy looking for a copycat when she should really be looking for the real deal. Ryan is right under their noses, but it’ll be a while before he gets caught. Until then, GH fans can watch some courtroom chaos. Cameron Webber’s (William Lipton) head will be spinning thanks to hard-nosed Judge Carson and her attitude. Alexis Davis (Nancy Lee Grahn) will push for compassion, but it seems Judge Carson doesn’t have much to give! 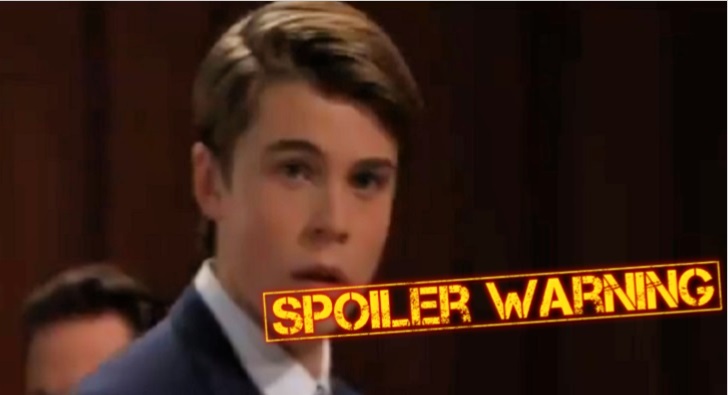 “General Hospital” spoilers say Cam will look nervous as the judge comes back with her decision. He’ll just hope that Alexis’ efforts pay off. Finally, Carly Corinthos (Laura Wright) and Sam McCall (Kelly Monaco) will discuss Oscar Nero’s (Garren Stitt) grim fate. Carly will note that Josslyn Jacks’ (Eden McCoy) first instinct is to take action. She’ll admire that about her daughter, but she’ll also think Oscar and his family should be the ones to make the call. Sam will trust that everyone will find the right way to handle this eventually – if there is a right way. It’s difficult to say goodbye, but Joss and Oscar are already taking steps toward it. We’ll keep you posted as other news and rumors emerge. 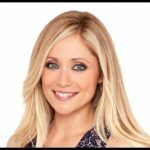 Stick with ABC’s GH and don’t forget to check Soap Opera Spy often for the latest “General Hospital” spoilers, rumors, updates and news.